For the last few years, I have been making homemade backpacking meals. When you backpack every weekend, $8 store-bought meals get pretty expensive. I like doing this because I can control the ingredients and the results taste better than pre-packaged meals. Some of my recipes are really simple and others are a bit more complex, but they are all fun to make. 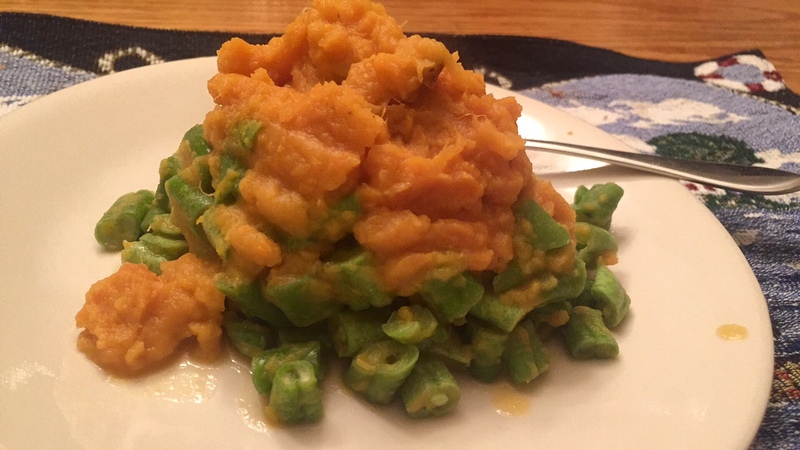 One of my favorites is mashed sweet potatoes. Whenever I go to a family dinner or party, I like to bring a paleo dish to share with everybody. Last Thanksgiving while I was making my favorite Mashed Sweet Potatoes, I realized, “hmm, these would be good on a backpacking trip.” My mashed sweet potatoes are sweet and tasty and have a ton of nutrients. It turns out that they make a great homemade backpacking meal. 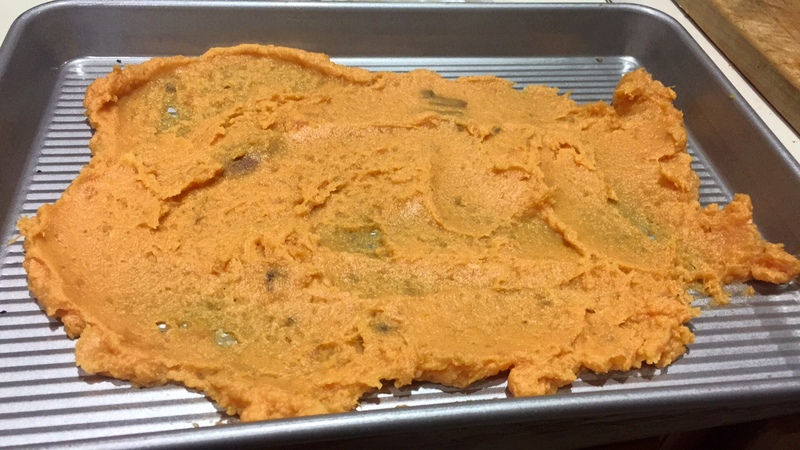 Spread the mashed sweet potatoes onto a tray. Place the tray in your oven at 175F. A convection oven works best. You could also use a dehydrator if you have one. Repeat this every hour until dry. The smaller you break the pieces, the faster they will dry. To rehydrate, just boil some water and pour it into the bag until the contents are submerged. Then place the bag into a cozy or inside pocket of you puffy to keep it warm. When the contents have absorbed the water, they’re ready to eat. 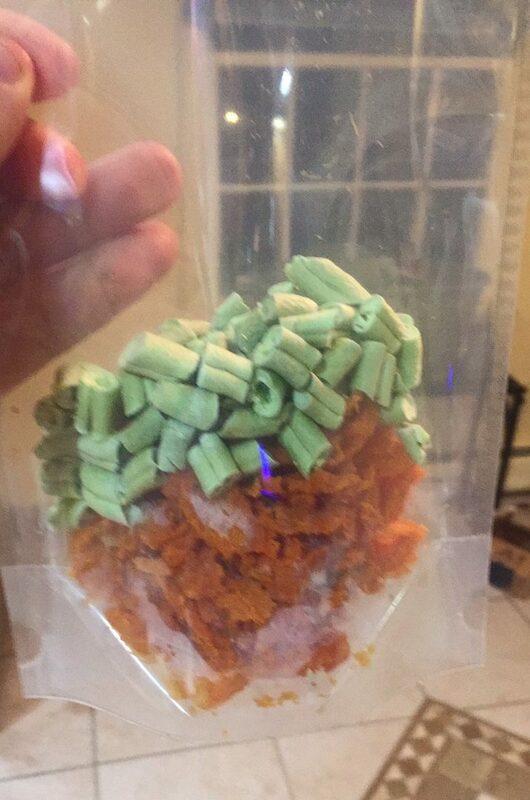 Dehydrated sweet potatoes are delicious cold and dry. They make a sweet snack that’s nice to eat on the trail. If you want to make this instead, follow all the same steps but don’t break the dried potatoes into tiny pieces. Instead, let them dry as a sheet and cut them into bite size chunks. This takes longer to do, but the concentrated sweetness of dehydrated potatoes is amazing! What’s your favorite homemade backpacking meal?